For Fall decor that's not spooky or haunting, or involving spiders and bats, look to Halloween's other icon -- candy! 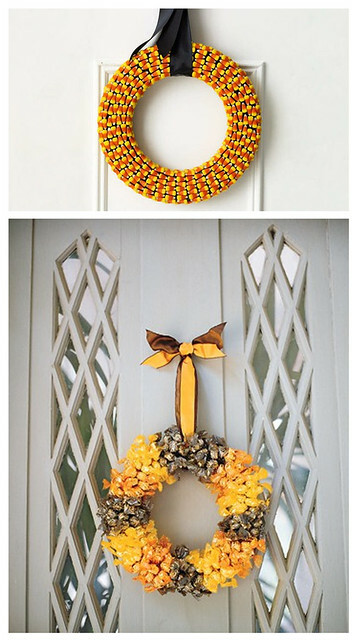 These two great wreaths are crafted from simple craft store wreath forms, candy and ribbon. Simply choose your favorite fall treat, and pull out your hot glue gun for a fun look!